Gold-coated iron oxide nanoparticle Hepatitis B virus (HBV) DNA probes were prepared, and their application for HBV DNA measurement was studied. 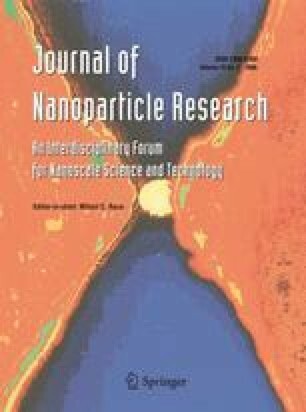 Gold-coated iron oxide nanoparticles were prepared by the citrate reduction of tetra-chloroauric acid in the presence of iron oxide nanoparticles which were added as seeds. With a fluorescence-based method, the maximal surface coverage of hexaethiol 30-mer oligonucleotides and the maximal percentage of hybridization strands on gold-coated iron oxide nanoparticles were (120 ± 8) oligonucleotides per nanoparticle, and (14 ± 2%), respectively, which were comparable with those of (132 ± 10) and (22 ± 3%) in Au nanoparticle groups. Large network aggregates were formed when gold-coated iron oxide nanoparticle HBV DNA gene probe was applied to detect HBV DNA molecules as evidenced by transmission electron microscopy and the high specificity was verified by blot hybridization. Our results further suggested that detecting DNA with iron oxide nanoparticles and magnetic separator was feasible and might be an alternative effective method. This work was supported by the National Science Foundation of China (NSFC) operating fund 30571643 and 30672380, National Key Basic Research Program of China (2005CB522901, 2005CB522507), Clinical Key Program of Ministry of Health of China and National High Technology Program (2002AA302202, 2003DF000034, 2003CB514112, 20041003068-05).